Ms. Miller-Drake has over twenty years of extensive human resources experience, including managing business operations, company culture and employee development, as well as strategic planning and leadership skills. She also brings extensive experience with mediation, coaching, cultural change and employee engagement initiatives to her new role at Spaulding Youth Center. Prior to joining Spaulding, Ms. Miller-Drake served as Senior Human Resources Business Partner for Microsemi, located in Beverly, Massachusetts. There, she was recognized as a trusted advisor on all things people-related and successfully managed all site employee relations, development, engagement, culture initiatives and issues. 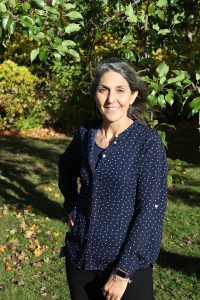 Ms. Miller-Drake also previously worked as the Human Resources Manager at Magellan Diagnostics, located in North Billerica, MA and as the Senior Director of Human Resources at Next Step Living, located in Boston, MA. Ms. Miller-Drake currently resides in Exeter, New Hampshire with her husband, Peter. In her spare time, she enjoys being on the beach at the NH seacoast, sailing and spending time with her much loved dog and cat. She is also an avid reader and enjoys writing poetry.